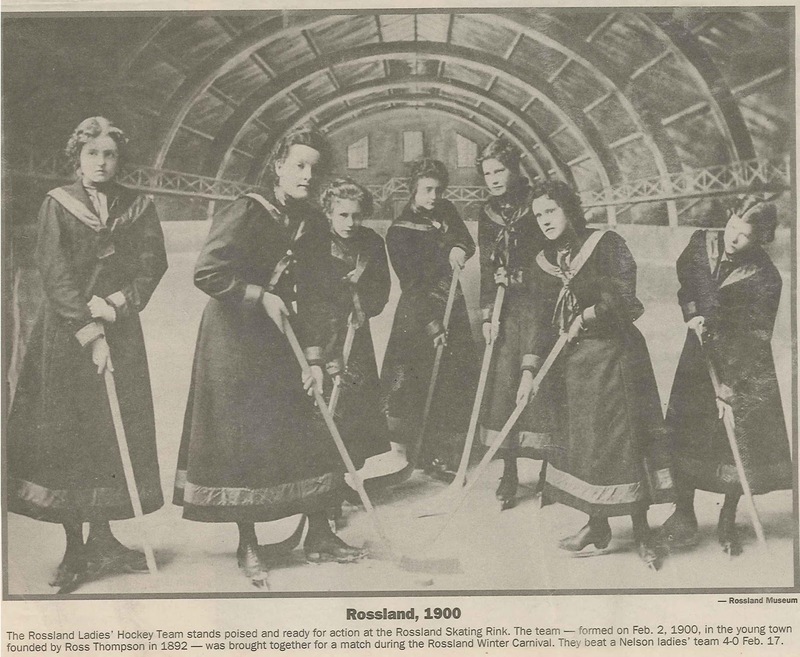 The history of women's hockey in the Rossland/Trail area. In 1955, one of the first female hockey divisions in B.C. was formed in Trail with 4 teams participating. 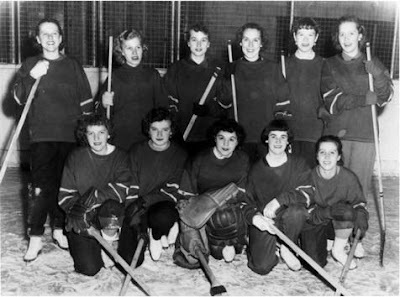 Trail Clubs won the city's first women's championship in 1955. Joyce Harris, Norma Grieve, Irene Babcock. 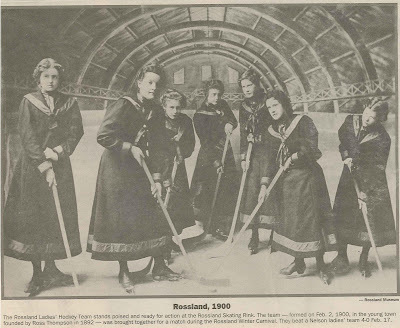 Front Row: Louise Gladu, Marie Armstrong, Jeannie Stefani, Drusilla Babuin, Michelle Ballentine. Missing from photo: Loretta Tambellini.